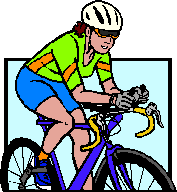 Sunday cycle this week March 30th. Meet at the usual time 9:00am at City Hall, remember this the clocks go forward on Saturday night. Route is along the back road to Kilumney then on to the main Macroom road to just past Lissarda and take a right before the road narrows. For those that want shorter routes, it is possible to turn off the main road just after the 18km point on to the L2202 past Lee Valley Golf Club. For a medium route turn off the main road just after the 27km (Farnanes) point on to the R619. To allow the group organisers separate everyone into groups of appropriate ability please try to come a bit early. All the routes converge at the bridge over the lake outside Coachford and follow the same route home, past Griffin’s Garden Centre for those who need/want coffee. This is at about the 51km point on a total spin length of approximately 70km. Long route in the attached map.